On the Alpe di Siusi, 80 km of groomed trails of varying degrees of difficulty pass through the unique mountain landscape of the Dolomites. 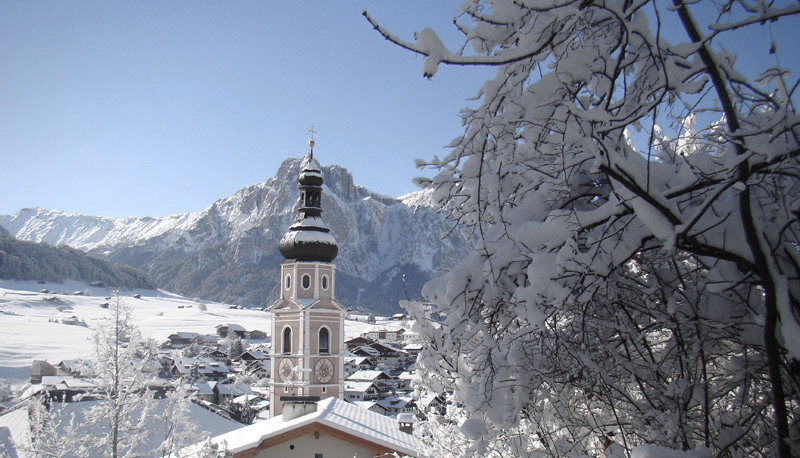 The cross-country skiing area Alpe di Siusi is connected to the cross-country ski network of Val Gardena by a 7.5 km long trail. Both are therefore part of the cross-country carousel Dolomiti Nordicski, which is the largest cross-country ski area in Europe with 1,300 km of trails. All trails on the Seiser Alm are groomed three or four times and prepared for skating. Overall, the Alpe di Siusi has 11 trails and three connecting trails. In addition to the trails on the Alpe di Siusi, there is a 3 km long trail directly in Castelrotto. This leads above the village over the snowy meadows towards San Valentino. This is especially suitable for shorter training sessions. Our team at the reception will be happy to recommend the right trails for you. You will also receive the necessary maps and information for your tour. We store your equipment safely in our ski room for you. Various courses are offered on the Alpe di Siusi for beginners and advanced skiers. It is possible to participate in group courses lasting several days or to take individual lessons with a teacher. 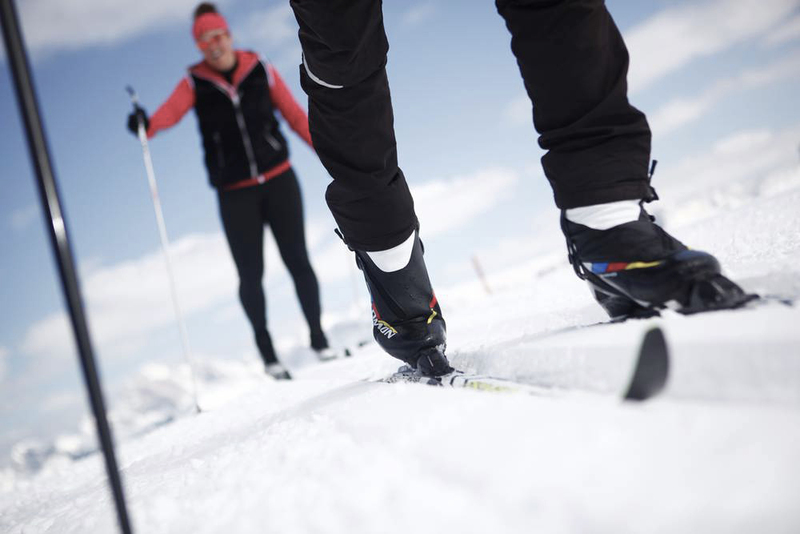 Lessons take place on the cross-country ski runs of the Alpe di Siusi. 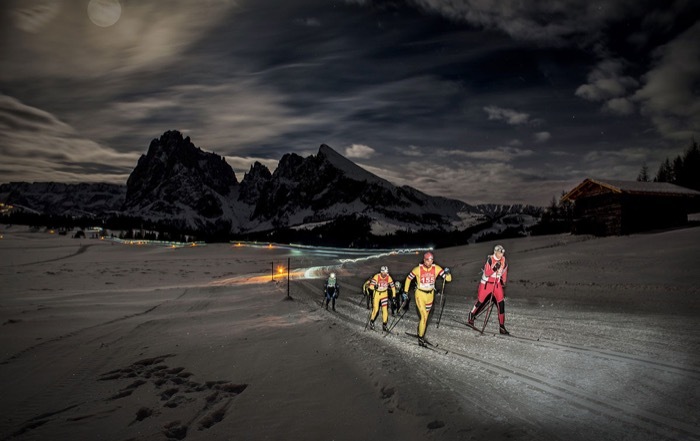 Once a year the Moonlight Classic, a nocturnal cross-country ski race, takes place on the Seiser Alm. For the participants there are two alternatives to choose from, the challenging 30km long course or the slightly easier 15km long course. The next edition of the race will take place on 23 January 2019.